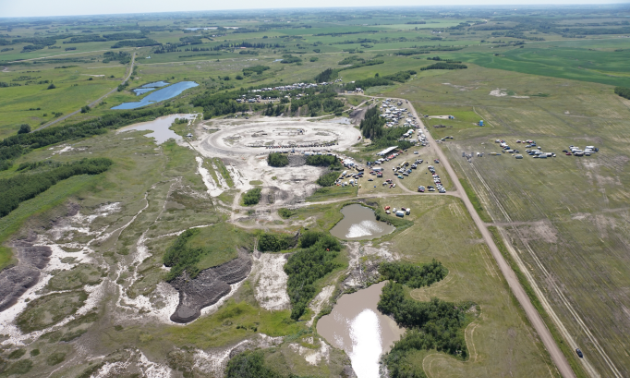 If Tail Creek Raceway was an all-you-can-eat buffet, ATVers, side-by-side riders and motorcyclists would be stuffed all the way to their mud-filled gills. 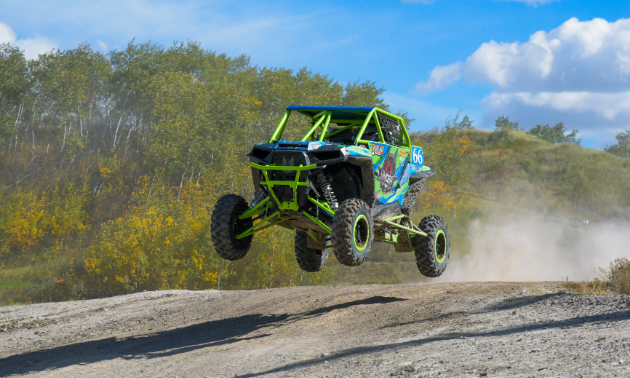 Whatever recreational vehicle you ride, there’s something to be excited about at the super-sized playground known as Tail Creek Raceway in Alix, Alberta (near Red Deer). 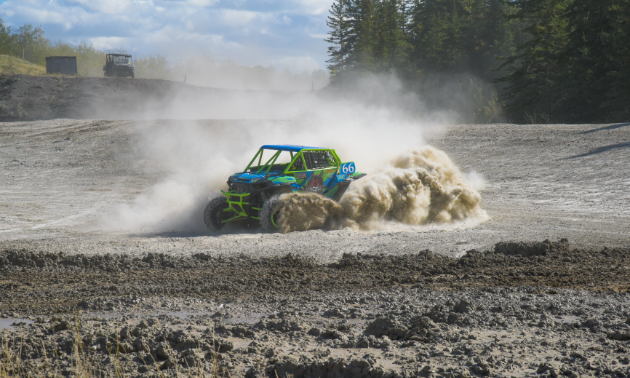 Within Tail Creek’s 201 acres of land, you’ll find the ⅜ mile oval, 5.1 kilometre baja-style endurance racing course and one of the toughest off-road rock and obstacle sections in the 4x4 world. For two-wheeled riders, the ⅜ mile oval boasts four weekends of events this summer, dubbed Wild West Dirt Track Motorcycle Racing. Flat Track Canada will be out for the events, racing Triumphs, Indians, BSAs and Nortons for flat-track motorcycle racing, a new series that is taking off in popularity in Alberta. Members of the Canadian Vintage Motorcycle Club will be out in force for the event as well. For anyone looking to reach top speeds in their ATVs and side-by-sides, the five-kilometre long Baja-style endurance racing course is just the ticket. The track is an obstacle course around the facility. Side-by-sides reach upwards of 60, 70 and even 80 miles an hour. 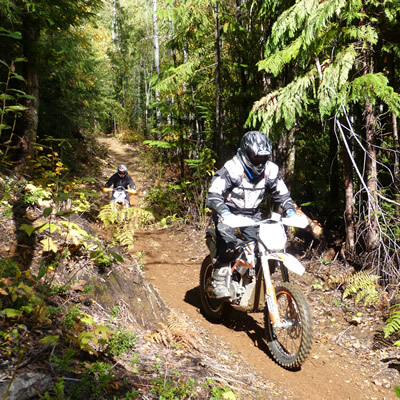 It’s a fast course that features mud holes, light rocks, jumps, whoop-de-doos and hill climbs. Expect to see at least 80 racers compete in Punisher Racing on the Canada Day long weekend. It’s going to be a thrilling summer of high-octane excitement at Tail Creek Raceway. Attendance for events will range from 2,000 to 10,000 competitors and spectators. 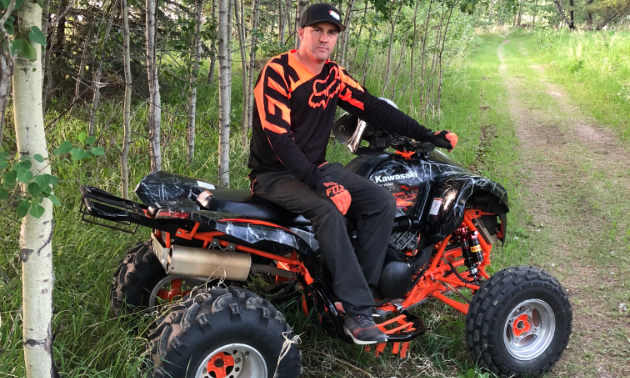 Keep an eye out for Jahner on his Kawasaki KFX 820 Big Boar, assuming he and his ride aren’t baked in mud. “It took me a year and a half to build it,” he said. “It's lookin’ pretty darn nice: black, orange and just pimped right out.